1st play with the prototype.......which worked beautifully! This has a core based on the Korg FK-1 pedal, which is a similar VCF to the ones found in the 800dv, 770 and 700 synthesizers. 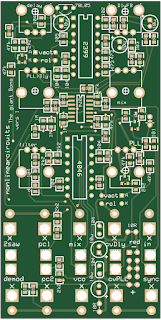 These VCFs have low pass and high pass stages in series. 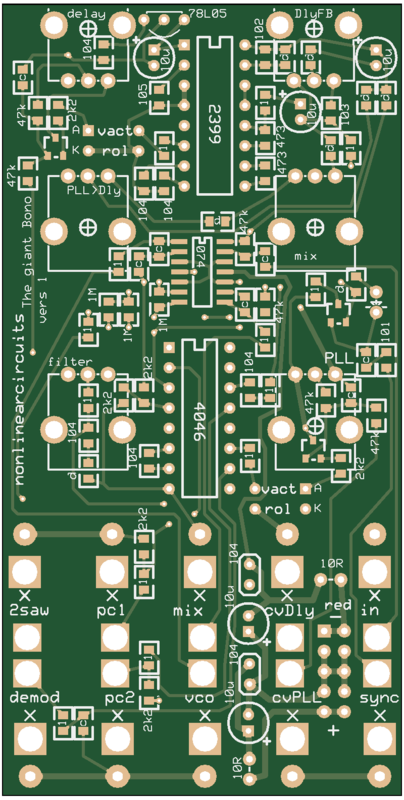 The main difference is this version uses vactrols as the variable resistors. 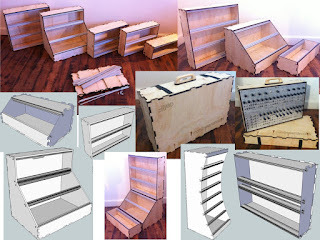 Local case builder and cellF designer Nathan has posted up all the files for his eurorack case designs. Feel free to choose one, send it to a lasercutter service or, better, take the file to your local hackerspace and get a new case with $5 worth of wood.